I have once again collected a number of ‘mini posts’ that, if I was actually a blogger and not an on-line essayist, might have been individual posts. Instead, I group them and post them as ‘Fragments and Links.’ Previous versions are here: 1, 2, 3, and 4. KwOD is dead. The only radio station I could listen to without my ears bleeding, suddenly, and without notice, simply ceased to exist one Friday morning in May after 18 years of modern/alternative rock. And as if to add kick us when we were down, it is now a soulless 90's station. Way to replace the best music since Bach with the worst. I think it is fun that Word wants to spell check ‘pericopes’ as ‘periscopes’. It reminds me of my Masters Thesis where a previous version of Word constantly wanted to change ‘boreholes’ to ‘brothels’. I sincerely hope that some late night editing session didn’t let one of those slip in. 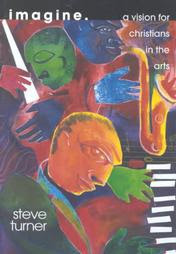 Samuel Bean, (I&W), on the other hand, vests the seasons with rhythms of a grounded existence. The repetitive details of life are not the trigger of existential crisis but the irreducible components of beauty and meaning. 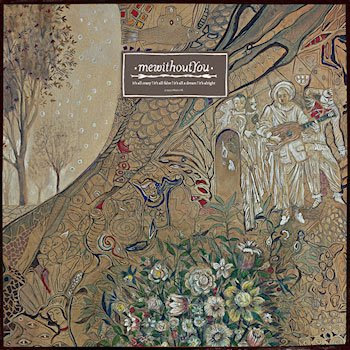 I love both of these artists, both of these albums and both of these songs…but my personal existential quest is to cross the thematic line from the former to the latter. I am pretty sure that if you looked up the word ‘horrifying’ in the dictionary, this is what you’d find. Also, on the topic of Facebook, on my last two business trips, I have gotten together with two high school friends and my college roommate. I have to say with pseudo-poetic vagueness, that each of these connections significantly augmented my humanness…and none of them would have happened without Facebook. As a technology, social networking is at worst, morally neutral. Curmudgeonly technophobes wine about how our generation is missing out on life because of our technology. What most of them don’t realize is that our generations value human connection and community more than the last few. The spatial boundaries of those connections are just more difficult to discern. With that said, I do not foresee myself getting onto twitter. That is not a moral statement…just a practical one. Facebook taxes the limits of my ability to process information. While twitter optimizes what is unquestionably the most valuable feature of Facebook (the status update) – twitter culture generates more of this valuable content. It is more than I can process. And then there is nano-blogging. Can’t wait for pico-blogging. That is when I’ll get back into it. My day was brought to you by the letter ‘w’. Many who read this site regularly also frequent my brother’s blog. But I really enjoyed this link he featured a couple weeks ago. This reminded me of Tim Keller’s frequent quoting of the original Rocky film where he tells Adrian that he has to fight because it ‘is the only way I’ll know I’m not a bum.’ Keller calls these things ‘identity factors,’ the things we vest in that give us value. We all have them and they are not benevolent masters. The incite pride by generating feelings of superiority and despair by crushing us for not attaining them. They are what the Bible calls idols. What the author of this passage calls the puritan legacy, Keller (pejoratively) calls religion in distinction to the cosmic, unilateral rescue of the gospel, which leaves us with no moral high ground from which to condescend. 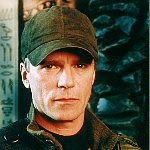 I have slowly been making my way through the original Stargate Series on Hulu. I quit watching it at least 3 times because it was so bad. But people I respect enjoy it, so I kept giving it another try, and it has gotten better. The interesting angle the stargate contributions take to the Star Trek narrative structure is to send contemporary humans with contemporary technology to other worlds. I think the most pressing question about the series is as fllows: “Richard Dean Anderson can’t act his way out of a paper bag…so why is he so watchable?” Why do I laugh at his one liners? RDA: That’s right. That’s why they call us the good guys. My question: Can you imagine Jack Bauer saying anything like this? The constant entertainment exposure to the rarest, most extreme moral dilemmas has seared our consciences and made us moral pragmatists that would condone practices we executed the Japanese for as war criminals after WWII. I have been into the work of Bryan Fuller recently. ‘Dead Like Me’ was intriguing, but didn’t really work. (I suspect it was miscast, but mostly it was hopeless in the most literal sense of the word.) I didn’t get through season 1 and it didn’t get through season 2. 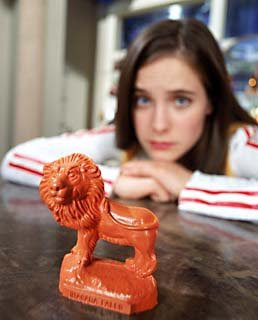 But Wonderfalls was good (canceled after 4 episodes, but there are 12 available on DVD) and Pushing Daisies was great (just canceled after essentially one season of episodes). Sooner or later networks are going to stop giving him opportunities, and we will be worse off for it. The reason I think Pushing Daisies worked where Dead Like Me didn’t, despite the dark themes of both series, was that Dead Like Me matched the dark themes with a dark tone, resulting in an oppressive, hopeless package. Daisies gave its protagonist a more hopeful future, but the series’ brilliance was that it offset the dark themes with an almost cartoonishly light, innocent tone. This worked. I am sad to see it go. Bill Simmons on the 2009 Red Sox: “The best way I can describe Fenway during any Papi at-bat is this: It's filled with 35,000 parents of the same worst kid in Little League who dread every pitch thrown in the kid's direction. There is constant fear and sadness and helplessness. Nobody knows what to do.” Silently nodding. Though, the word ‘irony’ comes to mind since the Bishop of Hippo included this quote in a 1,100 page book with about 250 pages of value. I mentioned this to a friend and he pointed me to the Journal of Irreproducible Results, which I have found entertaining. Part 1: "What book in the course did you most dislike?" Part 2: "What flaws of intellect or character does that dislike point up in you?" My craft and ministry is one of words and ideas. I was beginning to feel like I needed a diet of well crafted words (on any topic); a reservoir, if you will, out of which I could summon well crafted words. Not big words, but surprising, sublime, winsome and poignant words. There are just very few places, inside or outside the church, where one is just going to happen on a source of these kinds of words. I have been crafted by a cliché and sound bite culture. The antidote to this is a diet of beautiful words. Despite his grizzly, dark (though starkly human) topic, Truman Capote’ words fulfill this criteria transcendently. 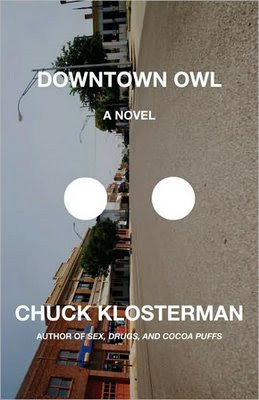 Do I undermine the previous 3 paragraphs by confessing that I followed In Cold Blood with Downtown Owl, Chuck Klosterman’s first novel? A word that appeared roughly 5 million times in the document…give or take. This line in particular is a striking explicit contrast to the Discrete Rodent as the latter song’s protagonist has selected contentment over restlessness, while the former has allowed yielded to his wandering heart. I think this is pretty interesting. I honestly don’t know what it would take to offend me. I got riled up once over a Freakenomics discussion and made a fairly impassioned case that the way abortion services were provided in our country is maniacally racist. But I think that is as close I have come to ‘being offended.’ I fully accept the ‘post-Christian’ nature of my culture. I don’t tend to take it personally. And, as someone who doesn’t own a cell phone, I do not use that term lightly. Like my resistance to cell phones…a resistance whose days are numbered. Capable of similarly luring us to condescension with pride and crushing us with despair. And often political positions. I am continually astounded how much moral superiority people feel (on both sides) over which lever they pull, as if this cost them something. 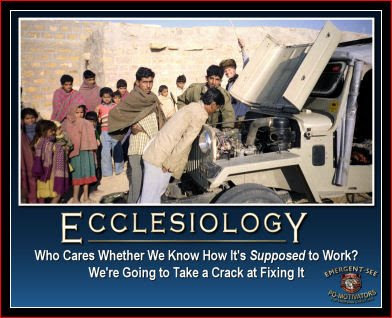 For more thoughts along this line, check out this link, that I got from the very good blog, Ladder on Wheels. If you use a spaceship instead of a worm hole to send humans to other worlds, you need to send a more advanced form of humanity. The worm hole mechanic means that contemporary humans with contemporary technology interface with alien cultures…which is potentially more interesting (though not budgeted accordingly). There are many aspects of the coalition between the American church and the religious right I am uncomfortable with (though I am finding myself less and less encouraged about the left) but I am pretty sure the low point of this was broad evangelical support of torture. The halved strike season and then half of the following season. In each series the protagonist is a flawed ‘spirit guide’ that, respectively, usher people to their death, intervene in some minor detail of their lives that has huge consequences, or tie up the loose ends of their death. These turn out to be fertile mechanics for worth while themes and engaging stories. I am constantly intrigued by the relative precision of this cliché. My Dissertation is going to come in around 400 pages with no less than 200 figures. Some of these figures are worth something on the order of 8,000 words…others are closer to 50...but they still provide the reader a break. Also, my MS advisor once chopped an entire paragraph of approximately 250 words and replaced it with an equation. I have done this several times since, and find that, a simple, 4-5 variable equation is worth on the order of 100 to 400 words. Anyway, I would love to plot a distribution of the value of images in words and find the central tendency. I suspect it would come pretty close to 1000. Though, I have had a lot of practice recently, as I generally write 50 minute talks for my 30 minute slot and then cut everything that is not essential…and then rearrange my perspective on what is essential and cut some more. It is a good exercise in repenting of self importance. I can’t seem to mention Augustine without referring to his town, since it is, without a doubt, the funniest named town in all of church history. I have another post percolating on to what extent preaching is craft and to what extent it is a mystical spiritual transaction. The back to back chapters about the Catholic Women’s Bible Study and a flirtatious conversation in which he started each exchange ‘what he/she said’ (followed by 1 sentence) ‘what he/she meant’ (followed by two paragraphs) were classic Klosterman. There are actually surprising parallels between Downtown Owl and In Cold Blood. They are both stories told by New Yorkers and based in a small town in a rectangular mid-American state with disturbing endings. Sure Capote may be as transparent as Klosterman is present, and the former is genius while the latter is merely clever…but I like Chuck and feel like I can learn language from him. 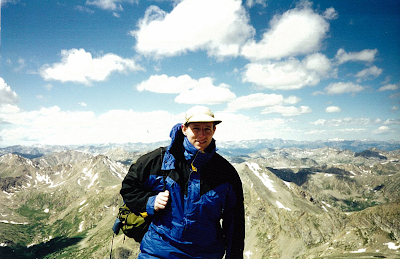 I have discussed my passion for backpacking and back country hiking on this blog before. I have also described my intentional discipline of embracing a new life stage that involves shelving the hobby for the better part of a decade. I have to say, kids are way better than backpacking. But as the season approaches I recently provided recommendations to a friend on some of my favorite trips. And I decided that our many and various adventures were worth documenting. So this is the first installment in a three to four part series (that I will post when I don’t have a philosophical/theological or cultural piece to run) that I am simply calling, ‘My Top 14 Favorite Hikes.’ This post will start the countdown with the final 3 (#14, #13 and #12) and then hit copious ‘honorable mention’ entries. Within a year of living in Madison, Amanda and I had exhausted our two hiking guides of everything remotely interesting within 4 hours of a town that was, otherwise, a fantastic place to live. 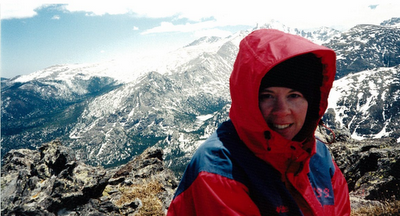 So we headed north to ‘the UP.’ This was Amanda and my first backpacking trip together. It would take more for us to learn to do it together well. But this is Midwest hiking at its best. 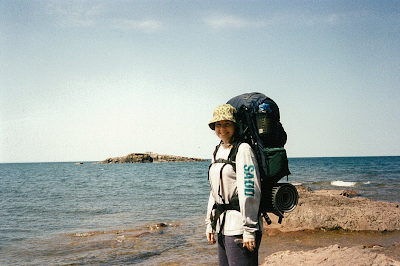 The first day was a spectacular coastal hike along the boundary waters of Lake Superior. The second day jutted inland following the river and climbing a number of dramatic water falls. The final day ended with views of Porcupine mountain, the highest point in the quad state region…at ~2,800 ft. Lets just say that Midwest hiking is not about elevation. Adirondack Park is the largest state park in the lower 48. They are also my ‘home mountains.’ This is where I fell in love with the air, the burn, the views, the miles, the solitude, the adventure, and the wonder the unmitigated brunt of creation. 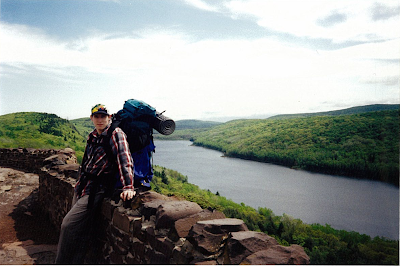 As a kid we made occasional outings but it was not until college, when I went backpacking with the Geneseo outing club and led wilderness trips in the summer that they became very familiar. Western hikers chuckle when I talk about the 46 peaks between 4,000 and 5,200 feet that New Englanders ‘collect’…or the long wooded hikes that only grudgingly relinquish their views in the final 100m. But there is still something magical about them. 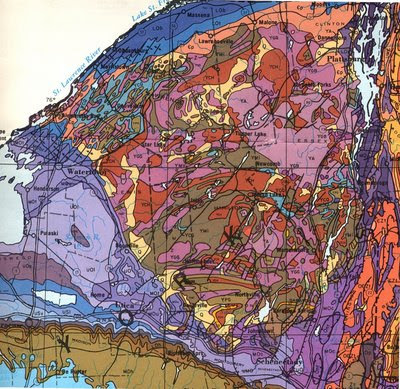 The ‘Daks are over a billion years old (some of the oldest rocks in the lower 48) and are such a good example of anorthosite, that the rare metamorphic often takes their name. There is no equivalent to crossing a stream lined with the enormous, dramatic clasts of metamorphosed feldspar that glint rainbow sheens through the shallow flows. I took the famous trail through avalanche pass. Avalanche pass follows Avalanche Lake between mount Colden and Mount Algonquin. The novel thing about this ‘pass’ is that there are places where the lake fills the entire span between the granite cliffs, requiring special constructed bridges built into the side of Algonquin. This was before I believed in tents and was visited that night by a fox. The next day I went up the back side of Colden. It seemed surprisingly difficult and I shook my head at how out of shape I was. When I reached the peak I was greeted with apparent surprise of a group of middle aged men. One of them was a guide who articulated their interest. “You came up the back side of Colden in full pack. That’s impressive, man.” It was a vindicating moment. I have since learned the back sides of Colton and Algonquin are ‘affectionately’ nicknamed “Three miles straight up.” A couple years later, Amanda and I did Algonquin (the second highest of the ‘Daks) back side trail, as a day hike, in knee deep snow. Let’s just say, she is not that happy with me in this picture. But it was still a fantastic day. 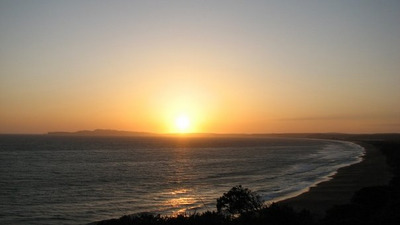 I had always suspected I wanted to live in the west…this was the day I knew it. I was in Denver on business and I stayed for the weekend, rented a car, and picked a couple mountains to climb. The fist night I went to a Colorado Rockies game before I headed out, so I arrived at the camp site in Vail after 11pm. It was full. So I drove the little rented Neon over the dark, washboard, dirt road for miles and napped in the car at the trail head. I was up and on the trail by 5. The first mile or so was familiar, a lovely wooded trail. But then something totally unfamiliar happened. I crossed the tree line near the beginning of the hike, giving me wide open views of vast alpine meadows and neighboring peaks for the vast majority of the hike. I was the first one on the trail so I saw all the Marmots and Pikas (merely mythical creatures of 3rd grade science reports to that point) I could ever want to. The summit yielded a gorgeous view of the famous Mount of the Holy Cross. It was a beautiful day. The next day I climbed Mt Massive. This was a much more challenging climb and I got altitude sickness (the only time I ever have) and badly burned. But these were minor costs. It was even more dramatic than Notch. I was hooked. We were eventually headed west. 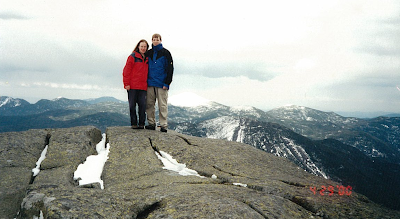 Macomb Mountain – I climbed the slide of this un-trailed Adirondack Peak with the Geneseo outing club. It was October and you could see Vermont and a sea of peak, north eastern, deciduous color. We climbed two more peaks that day and then got lost, spending the night by a river and a huge bonfire. Dinosaur National Park – On our first vacation together ever, we took this short evening hike along the green river, with great Uinta monoliths in the background. The trip to Dinosaur was far more about fossils than hiking. But we mainly went because I wrote a 50 page paper in undergrad on the geomorphology of this part of the park. 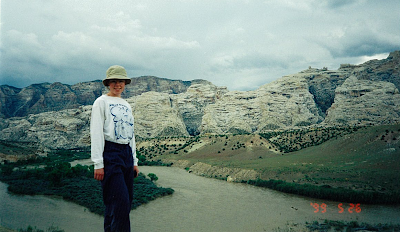 I literally labeled and described the geologic history of each stream (there must have been about 300) within several square miles of the place where Amanda stands in the picture. Ah, the scientific education. 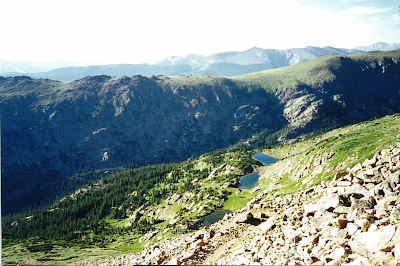 Rocky Mountain National Park – This was our first excursion to western peaks (same trip as Dinosaur above). It was a vacation to celebrate finishing my Wisconsin Masters degree. We did not realize how late western peaks stay snowed over so our hikes were difficult. We climbed flat top mountain in the snow and Amanda got a second degree sunburn. But the surrounding peaks were unlike anything we had ever seen and when we woke up one our tent was surrounded by elk. I’m sure I remember it as more fun than it was, but I remember it as really fun. 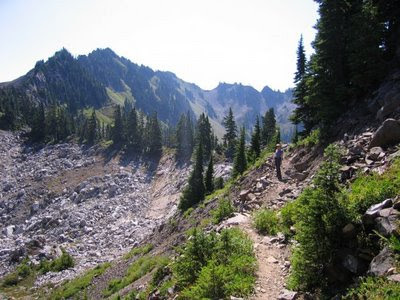 Olympic ridge – One day 18 mile loop into the heart of Olympic National Park with spectacular views of Mt Olympus. We slept at the trailhead and hiked hard, but the ridge yielded views of the central peak for several miles. Dix Mountain – Amanda and I climbed this peak in the fog. There was no view. It is the only peak I have climbed twice by different routes. But we had a great day together. What could otherwise be considered a sub-par day on the mountain is one of my favorite days I have spent with my wife. 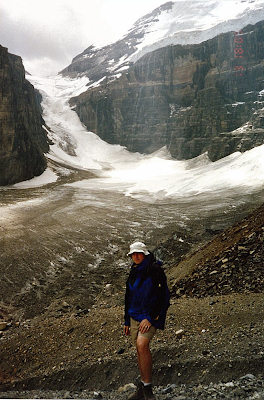 Lake Louise/Lake Agnes – The Canadian Rockies are seriously underrated. Canadian trails are more like European trails in that they have periodic ‘tea houses’ where you can stop for a snack and some tea. In a 16 mile day hike we encountered two of them. I have mixed feelings on these. They are really nice for breaks, but mitigate the wilderness feel. Tea houses aside, however, the Canadian Rockies are 100% worth the trip. The only reason they did not crack the top 14 is because the trail guides tend to be unhelpful and I did not make good selections. 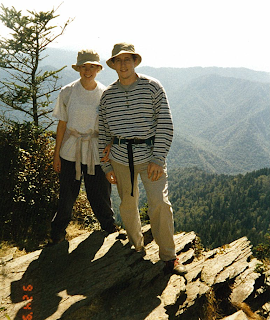 LeConte Mountain - Speaking of Wilderness architecture, we were invited to the wedding when a guy Amanda dated in high school was getting married just outside of the Smokey Mountains, shortly after we moved to Buffalo. I thought it sounded fun but also pitched a few hiking days as part of the trip. The highlight was climbing LaConte Mountain. We found great views, but we also fund a cabin village and a lodge serving gourmet meals. 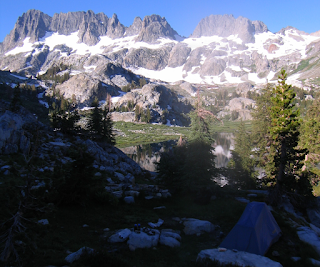 The Final pre-Kids trip in the West Sierra – 3 days, Gorgeous peaks, expansive lakes, a pace that covered ground but was healthy for marital harmony. Before I moved to CA this would have been 3 of the best days of my life. Now it makes honorable mention. That’s a good thing. Point Rays ‘Manpacking’ – 3 days, 21 Miles. This was, actually, only a couple months ago. I started preaching at College Life, our church’s on campus college ministry. 8 guys planned a spring break backpacking trip in Point Reyes national park. Amanda gave me the green light and I had a blast getting to know the guys and hiking some of the most dramatic coastal trails in northern California. As if this blog wasn’t topically eclectic enough. Michigan’s upper peninsula. One of the enjoyable subplots of living in the Midwest was meeting someone from Michigan and asking them where they lived. They would put up their right hand like a mitten, representing the southern land mass of their state…and point. This became particularly hilarious when they lived in the UP because representing the whole state left them without appendages to point, and they would sometimes involve their nose in an elaborate way of conveying precise information of limited value. 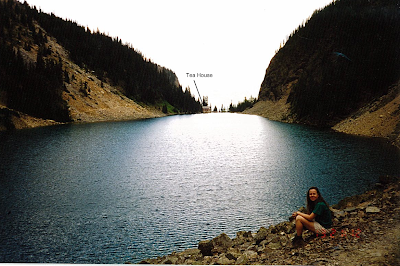 Every hiker has ‘home’ mountains. And while the Sierra has long since surpassed the Adirondacks as the mountains I know the best and am most comfortable in, the ‘daks will always be where I learned the skills and made mistakes and got hooked. In undergrad, the guys who had jobs in the geology thin section lab, would use the rock saws to make gifts (like book ends) out of finished blocks of anorthosite. I used to believe that you should save the weight of a tent by just bringing a small tarp and a bug net. Coldon is nestled between the ‘daks two highest peaks, Marcy and Algonquin. To date, it is my favorite view (apart from the October summit of Malcolm that had more to do with foliage than rock – see Honorable Mention). It reminds me of that shot in the Lord of The Rings where you can make out Isengard and the Great Eye of Mordor ominously dominating the landscape. By my friend Brian Chapman. My friend Brian and I have considered writing a book called something like, ‘How to Take Your New Wife Hiking.’ Almost every guy I have ever talked to who has tried to introduce their girlfriend/wife to their passion for peaks and miles, made the exact same mistakes of too much too early. Up to that point I had only experienced the ‘Daks, where the only view was at the very peak. 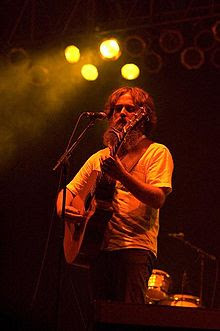 This was like an enthusiastic recreational pot user suddenly shooting heroin into his eye balls. So named because the geologic formation that retains snow in perpendicular cracks well after it has melted elsewhere, leaving the stark mountainside emblazoned with a cross for much of the hiking season (though it was mostly faded by the time I got there). 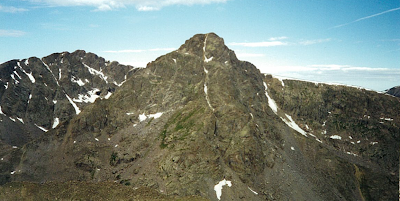 The second highest mountain in Colorado by like 14 ft…actually, before the USGS updated the datum a couple decades ago, it was considered the highest. When the guy in charge of lunch busted it out it consisted of a block of cheese, a hunk of salami, and a huge chocolate bar. This became my tradition...until the enobling influence of marriage. Again, this was Columbus day weekend, so it was literally freezing (our water bottles formed ice). But I was lost with another geophysicist and a geochemist. We had all TA’d intro geology. Topos were second nature and we did just fine. There was a funny moment from that night worth relating. After it was clear we were lost in the dark with limited flashlight time I said to the other two guys (who were pretty good friends) ‘You know guys, when I get in situations like this, I like to pray’ (suggesting I take a moment to do so – Ah, more passionate and annoying days). Dave the geochemist responded ‘Do you get in situations like this a lot?’ This was also the trip in which I became a pants convert. Up to this point I did not believe in pants…hiking only and always in shorts. Lets just say…I now believe in pants. Oddly, there were three pictures from this weekend in the Geneseo yearbook (one of the photographers was on the trip). I only know this because my Mom secretly bought one. Amanda commented that it was like someone was doing a CGI feed for our vacation. I climbed the slide with the outing club in undergrad. We did not originally intend to climb the mountain. I was just going to be an easy hike to a big waterfall. But it was Fall and the waterfall had dried up, so we missed it and kept going. It was a beautiful day and a great outing, so we just kept going and before we knew we had climbed the mountain. This is one of my favorite differences between college ministry and youth ministry. I literally just packed my stuff and showed up. They had planned everything. A peninsula on the pacific coast literally formed by the San Andreas fault shearing part of California off into the ocean.